When Volvo introduced the Xc90 back in 2003 the world stood up and took notice; while the firm had been producing practical estate cars for decades, this was its first proper SUV. When Volvo introduced the Xc90 back in 2003 the world stood up and took notice; while the firm had been producing practical estate cars for decades, this was its first proper SUV. It was something of a revolution for the company and its customers, and the adaptable, practical and spacious seven-seat interior proved incredibly popular with buyers. Demand has always been high (the car remaining the firm’s best seller even in recent years) and therefore used prices are also high - though it’s worth the effort and money to find a good one. Five doors, a suitably raised ride height and seven seats - the XC90 was only ever available in one, practical, flavour. The seats in particular are worthy of mention, the mechanisms for folding the rearmost (which are really only for children) make changing the cabin to your needs very easy. Two engines were available for the Xc90, including a twin-turbocharged T6 3.0-litre petrol model. It offered impressive performance, but fuel consumption was high and there have been plenty of reliability issues as well. In some parts of the world the firm even offered the car with a 4.4-litre V8 petrol engine, but if you find one here it’ll be an import as they were never officially offered on the Irish market. Much more common (and sensible) is the 2.4-litre D5 diesel engine. Updated in 2005, power jumped from 165- to 190hp, with the 0-100km/h time taking only 11.5 seconds, while managing 8.9 litres/100km and emitting 239g/km of CO2. Gearbox wise you can choose between the five-speed manual and a variety of automatics - the latest six-speed Geartronic units being the most sought after. 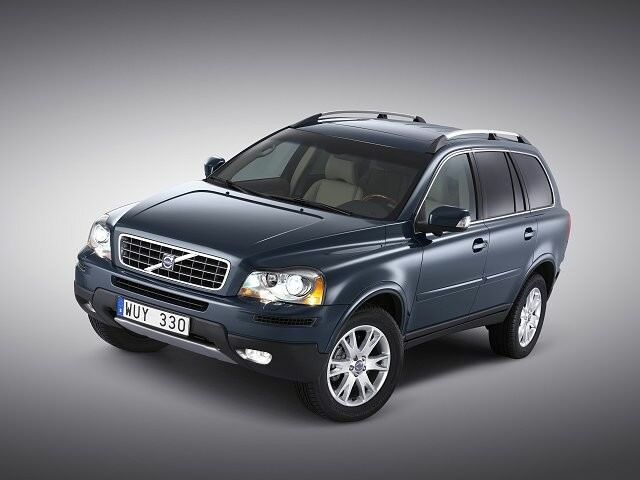 Specification wise all versions of XC90 came well-equipped, and though a couple of trim levels were offered it was SE specification cars that are most common on the used market. If you have the budget, the later Executive models are fully loaded with kit though, and feel especially plush inside. There’s not really that much to choose from here - the diesel SE with an automatic gearbox is by far the most common on the used market. Try and find a post-2005 car if you can though, as these benefit from the uprated engine and a Haldex four-wheel drive system. Either silver or dark metallic colours show the Xc90 in its best light, and avoid the lighter cabin colours as they show the dirt of family life all too easily. The Xc90 may be approaching is tenth birthday, but even the new models remain competitive - and hugely popular - in the face of more up to date rivals. It’s not as capable as a Land Rover Discovery off-road but it’s easy to drive, excellent at towing and relatively cheap to run too. The fact it looks good, boasts a well-built cabin with plenty of practical touches and seven seats is merely the icing on the cake of this family-friendly SUV.